Successfully saved Vermicelli Noodle Bowls with Peanut Butter Sauce to your Calendar. You can also save the ingredients to your Grocery List. 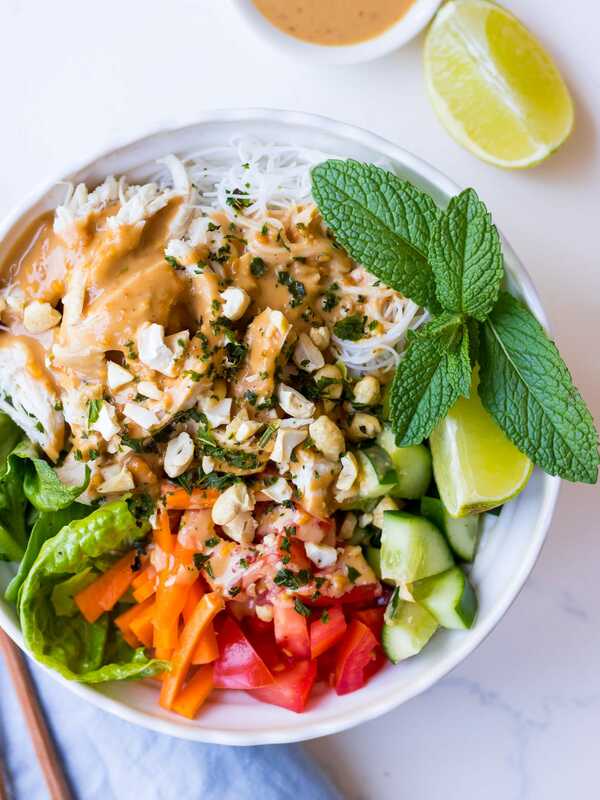 These vermicelli noodle bowls with peanut butter sauce are mega easy to make and ready in about 20 minutes. The base recipe is gluten free, dairy free and vegan, and you can add your favourite protein.